I am happy to announce a new series, San Francisco Profiles, where I interview a local on their favorite parts of their hood. I have reached out to friends who are either natives or have lived in San Francisco for awhile and asked them where their favorite hangouts are. In addition, after each interview I am including additional spots to check out should you choose to visit. I get lots of people reaching out about where to go, visit and eat in San Francisco, who better to advise you than a native? To start, I’d like to introduce you to Derek. This is typical. Derek spends most of his time outside! So when it comes to the best places to hike or bike, he’s going to have great info for you. Me, I prefer his insights on Broadway plays and eating establishments. As a fellow foodie, some are best times are just hanging out over a good meal. Derek lives in Sunset which has two parts, Inner Sunset and Outer Sunset. 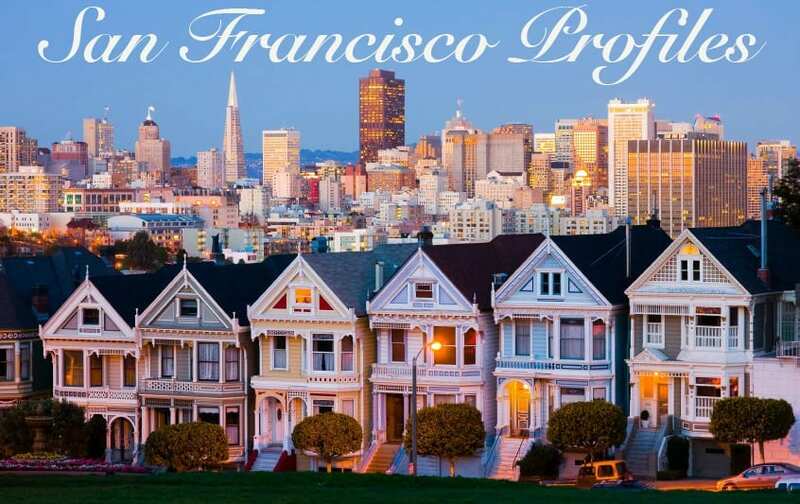 Both are great residential areas of San Francisco and feel very neighborhoody. I asked Derek to share of his favorite spots in his neck of the woods. Favorite thing about the Sunset. My favorite thing about the Sunset is its proximity to Golden Gate Park, an outdoor mecca right in the middle of San Francisco. Not many people realize that Golden Gate Park is 20 percent larger than New York’s idolized Central Park. Whether you’re standing on Irving Avenue at 9th Avenue in the heart of the Inner Sunset or at 39th Avenue in the Outer Sunset, you’ll be one short block from entering San Francisco’s beautiful and iconic park, which is packed full of outdoor activity opportunities. The Sunset is a great home base for a day spent in Golden Gate Park. Least favorite thing about the Sunset. The Inner Sunset is known by non-locals as the foggiest neighborhood in San Francisco’s famous collection of microclimates. While I don’t mind the foggy blanket that wraps itself around our neighborhood during the summer months, it has become a famous characteristic of the neighborhood that causes visitors to avoid making the trek out to discover and enjoy the gems of the Sunset. What differentiates the Sunset from all the other parts of the city? I can’t think of a single neighborhood that boasts as much diversity and affordability when it comes to dining. In a 3 block radius in the Inner Sunset (9th and Irving) visitors can choose from low priced Thai, Chinese, Indian, Vietnamese, Korean, Persian, Mediterranean, Latin, Japanese, Ethiopian, Italian, Mexican, Seafood and Pizza. Favorite coffee spot in the Sunset. Hollow, on Irving Avenue between 15th and 16th Avenues is hands down the most charming coffee shop in the Inner Sunset. 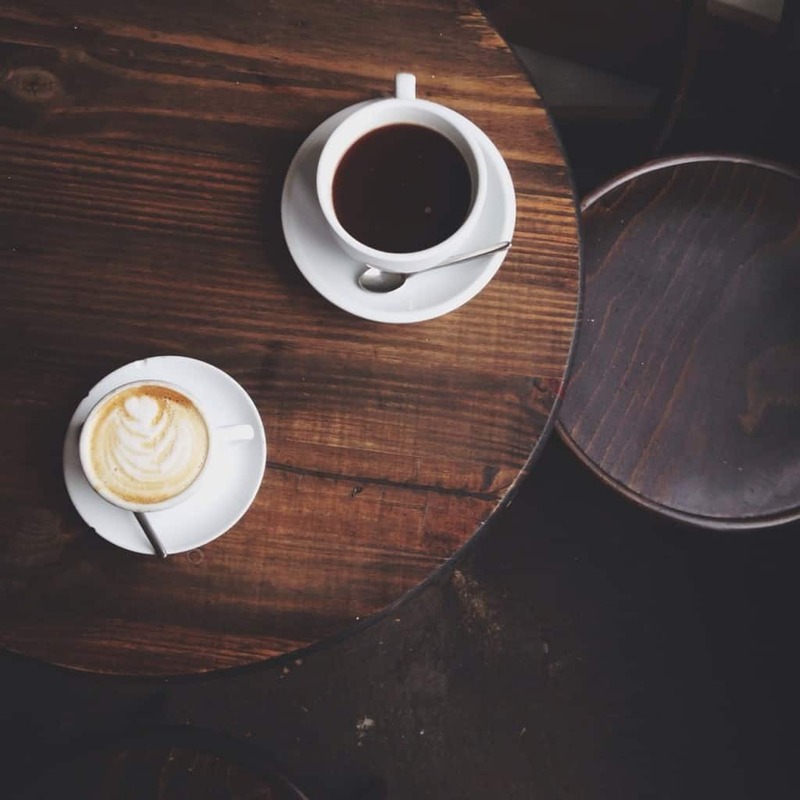 It’s quaint with seating for only 6 or so people and they serve one of SF’s favorite local brews, Ritual Coffee. You’ll always find a delicious selection of cookies and other treats on hand, not to mention unique handcrafted local gifts. 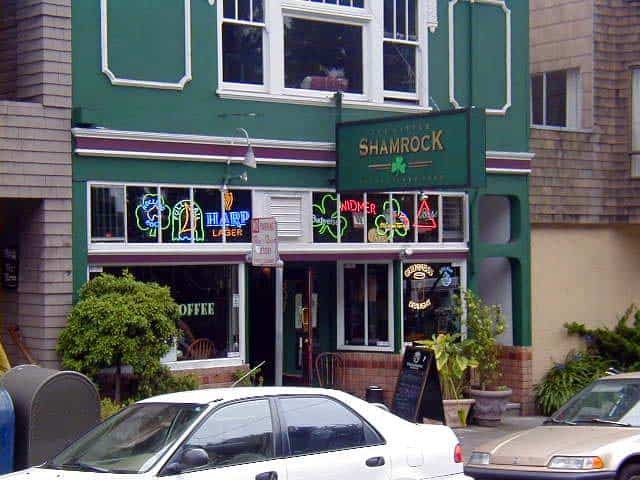 No trip to the Sunset would be complete without a drink at one of San Francisco’s oldest watering holes, The Little Shamrock, which was established way back in 1863. They’re famous for their Irish Coffee’s, of course. Regardless of what you pick to drink, grab a spot in the back and enjoy their selection of board games for laid back entertainment. Always busy and buzzing on the weekends, Arizmendi Bakery is the Inner Sunset’s go-to source for fresh baked goods of all shapes, flavors and sizes, like corn-oat molasses bread and fig-fennel sourdough. This worker-owned bakery has been supplying residents with pastries, pizzas and breads since 1997. The locals especially enjoy the parklet set up out front which offers a great place to sit and enjoy a fresh baked cookie. Cozy, comfortable, clean and quality are words that come to mind when I think of my favorite breakfast and brunch spot, Park Chow. You’ll find all of our favorite American comfort food selections on their menu. It’s hard to not be happy here sitting at a table downstairs next to the fire place or under the heating lamps upstairs with the giant sunroof cracked open. If you don’t make it for breakfast or brunch, have no fear, it’s as equally as great for dinner. 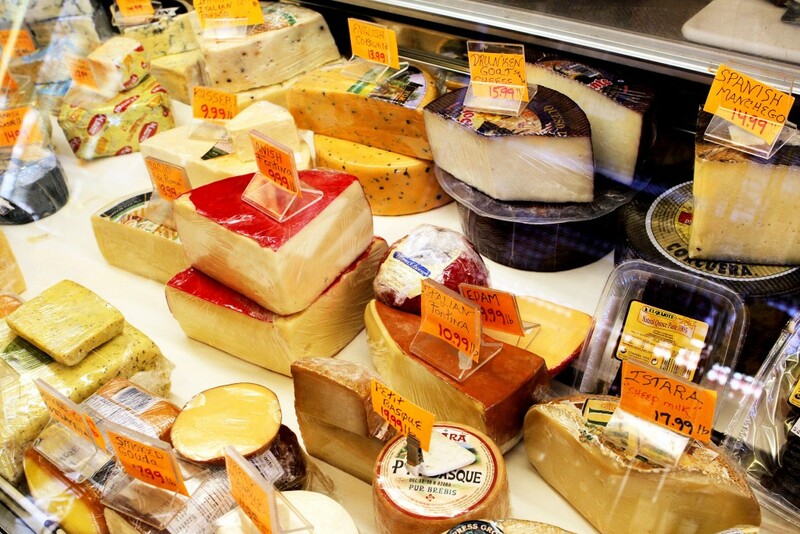 Before heading into Golden Gate Park for a day of exploration and fun, I love picking up a fresh made deli sandwich at the Cheese Boutique on the corner of Irving and 12th Avenue. As you might guess, this place has an impressive selection of cheeses to choose from, and the owners Rick and Nada can make the perfect recommendation for creating a delicious sandwich. Considered by many to be best Thai food in the city, Marnee Thai has two Sunset locations, one in the Inner Sunset on 9th Avenue and one in the Outer Sunset on Irving near 23rd Avenue. They’re both great and I’m partial to the Outer location because of its kookier décor and because you’re more likely to be seated by Marnee herself, and get her latest recommendations. Prepare yourself for delicious thai dishes that won’t even come close to breaking the bank. 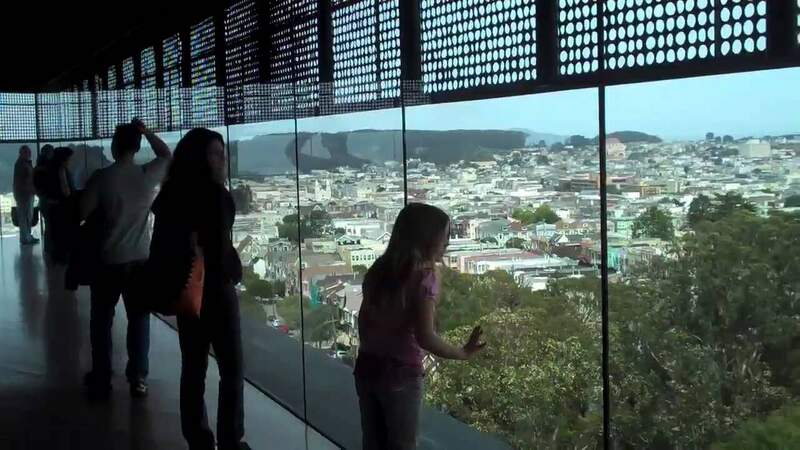 I always take visitors into Golden Gate Park and up to the top of the Hamon Observation Tower at the De Young Museum. Admission to the tower is free and from the top you get 360 degree views of the city from the middle of Golden Gate Park. The tower sits just above the tree tops so it’s one of the most unique vantage points to see the Pacific Ocean, Golden Gate Bridge, downtown San Francisco and beyond. > Outerlands (4001 Judah St.) You’ll have to wait 20 minutes, but get the Dutch pancake. > Park Chalet (1000 Great Highway) Bottomless champagne, enough said. > Pasion – (737 Irving St.) Latin American, huevos rancheros anyone? > Devil’s Teeth Baking Company (3876 Noriega St.) Bakery treats. > Saiwaii (2240 Irving St.) The tonkotsu ramen with spicy garlic and stewed pork belly is amazing. > Izakaya Sozai (1500 Irving St.) Arguably one of the best bowls of ramen in the city. > Nopalito (1224 9th Avenue) Great Mexican. > PPQ Beef Noddle House (1816 Irving St.) One of the most authentic bowl of pho in the city. > Irving Cafe and Deli (2146 Irving St) Makes one of the city’s best bahn mi sandwiches. > San Tung (1031 Irving St.) Famous for its so-called “crack chicken,” or fried chicken. Great dumplings too. > Sunrise Deli (2115 Irving St. other locations throughout the city, plus a food truck). Damn good falafels. > The Pizza Place (3901 Noriega St.) Yes there is pizza, but don’t miss the sweet potato steak fries! > Trouble Coffee (1730 Yosemite Ave.) Hipster joint, great toast. > Henry’s House of Coffee (1618 Noriega St.) Hand roasted coffee. > Social Kitchen & Brewery (1326 9th Avenue) Great beer selection. > Establish Boutique (3811 Noriega St.) Trendy boutique in harmony with its environment. > The General Store (4035 Judah) Great mix of modern design and laid-back vintage. > Mollusk Surf Shop (4500 Irving St.) A surfing institute. Sunset is mainly a residential area so lodging is a bit tough to find. There is the retro Ocean Park Motel (2690 46th Ave.) but you are probably better off renting a private home or apartment via services like Airbnb. 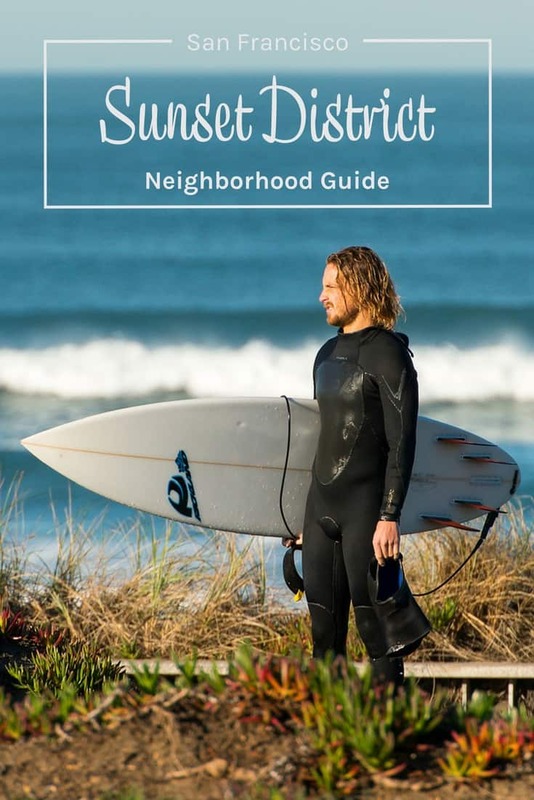 They have great guides for both Inner Sunset and Outer Sunset that include some of their locations to rent. Here are other posts and guides from a few other local sources. How about you? 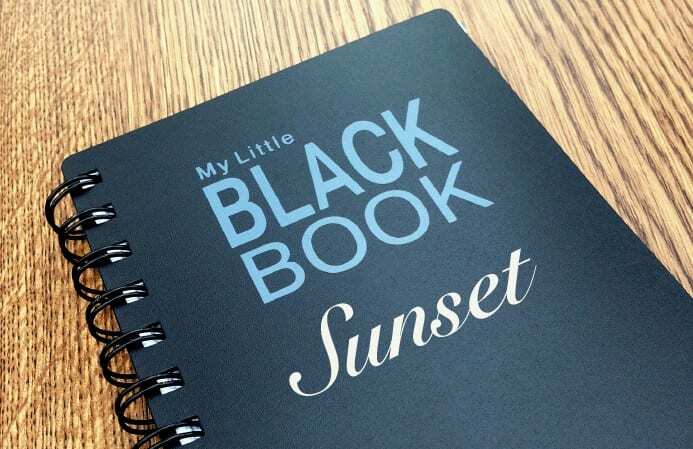 Do you have any Sunset additions? 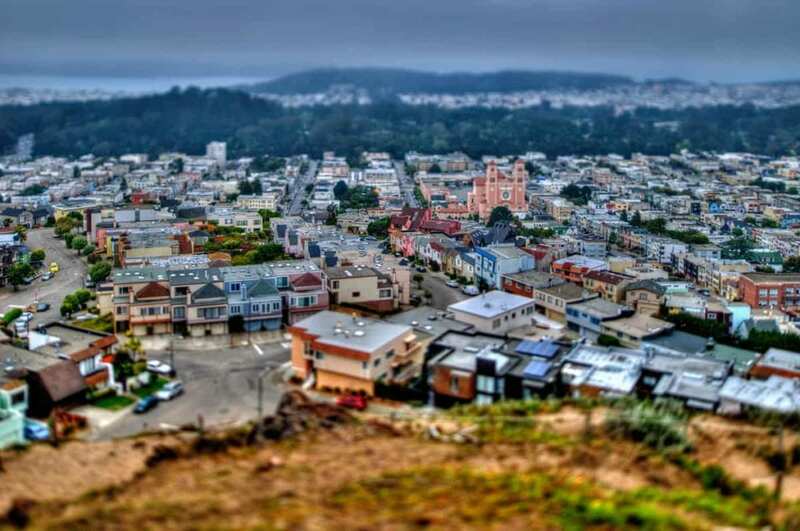 Have you been to this area of San Francisco? Did you find this post helpful for a future trip? More about Derek: He has guest-posted here with a great guide about Yosemite, a spot he is very fond of. He blogs at Could I Have Been…. He loves sports, is a Michigan native who has adopted and embraced San Francisco as his home. He loves Broadway and chocolate, lots of chocolate. You can catch his witty banter on Twitter as well. We worked together for about three years and I absolutely adore him! I love San Francisco! I went there more than twenty years ago and would love to visit again god willing. Love the series, Andi. I used to live there. Such a magical city! Thank you for inviting me to participate Andi! I can’t wait to read the other profiles! I had a friend who used to live by the big Safeway on Market Street. Having been to the Inner Sunset many times to visit Derek, I’d have to say this is a hidden gem, especially for a local. I love shopping for my niece in this neighborhood. With enough families that you feel safe and loved, I enjoy taking an easy ride on the N out here. @Glen, thanks so much for stopping by and sharing, I feel like I know you! Any particular shop you like the most? I can’t wait to read more of these interviews! i’ll probably never get to california and this is perfect. i always loved watching full house and seeing that greenscape and those houses! and i didn’t know golden gate park was bigger than central park! @Bianca, never say never, California may be in your future some day. I traveled to San Fran in May and loved my sunset cruise! @Shane, sunset cruises are great around here. Thanks for the visit and congrats on being a first time auntie! What a comprehensive post. It could be an eBook! I’m in love with that picture of the Sunset District. It’s so charming, it’s hard to believe humans actually inhabit the streets. I’ll probably be 60 before I see San Francisco. Sigh. Someday! I really love this –great series and thanks for doing it Andi! What a great series, Andi, congrats! And Derek most certainly makes me want to go to SF. My parents met in grad school at Berkeley and graded their sunsets each night apparently!